Video Mystery Shopping Tip: The QUEST for ‘The Perfect’ outfit! Last week I went shopping with my bff Ruth. I was on a mission to find ‘The Perfect’ outfit for my speaking presentation next month at the International Builder’s Show. I had some idea of what I was looking for, I knew the price range I wanted to stay within, and I was pretty sure I wanted to buy my outfit at Ann Taylor. However, I decided to pop into another women’s boutique on the way to Ann Taylor, just to check out my options. As Ruth and I walked into the boutique we were immediately accosted by an overly aggressive female sales representative! She started talking to us about the fantastic sale that was taking place and how we could save over 50% on select items! Funny, she never asked us ‘what’ it was we were looking for. So, how could she know where to direct us? She told us her name, several times, but never asked us for our names or any other information! It was pretty obvious that she was a *commission* only employee! Her job was to sell, sell, sell….and it didn’t matter what! Ruth and I were immediately turned off, and quickly snuck out of the store hoping ‘Miss Aggressive’ wouldn’t notice our departure and come chasing after us! Or next stop was Ann Taylor. We entered the store and were greeted by Ginger, who politely introduced herself to us and began asking questions as to the reason for our visit. She spent time getting to know us, what we were looking to purchase, etc. After about 5 minutes of questioning and listening, Ginger led us to a rack of clothing and there it was……‘The Perfect’ outfit…and it was on sale for 25% off! But, here’s the kicker, I would have bought the dress at full price, because it was EXACTLY what I was looking for! And, the only way Ginger could have known this was through effective questioning and listening to my responses. Does this experience sound familiar to you? My shopping excursion is not much different from what happens when your prospects arrive at your new home sales office. They have come in with an idea of what they are looking for, they know what their general price range is, and have selected the builders they want to visit. So, let me ask you…..is your sales presentation more like Ginger’s or Miss Aggressive’s? Do you take the time to really listen to your prospects to understand what it is they are looking for or do you just try to *sell* them on what you have available? By the way, if you want to see my ‘Perfect’ outfit (and attend a GREAT sales rally! ), be sure to attend the International Builder’s Show on February 9th! See you there! What is your definition of a winner? What characteristics are essential in a successful sales person? Well, truth is – successful sales people come in all shapes and sizes. There is no ‘one size’ fits all when it comes to success. In fact, great sales people are as unique in their characteristics and personalities as they are with their thumbprint; however, there is one consistent trait that every great sales person must possess….and that is PASSION! Successful sales people are passionate about what they do! If you aren’t passionate about what you are doing (or selling) chances are you will never truly be a winner in that field. I wanted to use this week’s blog to highlight a person whom I consider to be ‘sales winner’ in the new home industry. 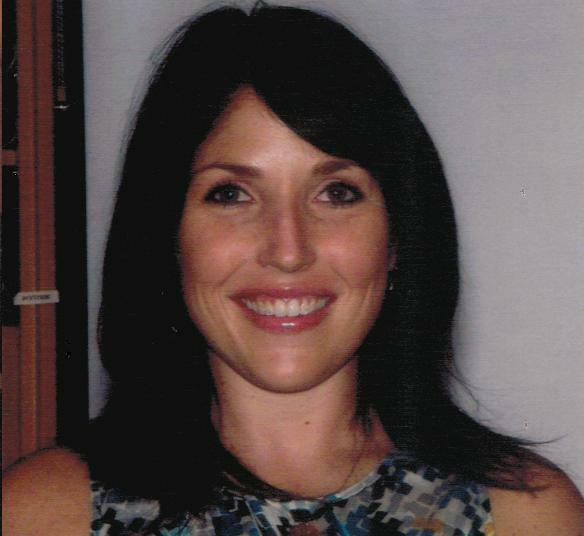 Her name is Courtney Pilka, and she is a sales consultant with Ryland Homes in Texas. 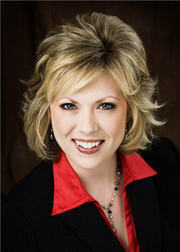 Courtney is averaging 2 -3 sales every month in her Austin new home community. Her gross sales (as of August) were $4,296,486 and she has not had ONE cancellation to date! And, she just recently won Ryland Homes’ ‘Dream, Strive & Succeed’ sales contest that awarded her a trip to Orlando! I think you will find her ‘sales success tips’ to be pretty straight forward and each is driven by her passion to succeed! Thorough discovery and qualification process: Courtney spends A LOT of time upfront finding out what her buyers want and what they can afford. Once she discovers this, she is able to perfectly match her product with their wants and financial means. Get your buyer to become ‘emotionally’ committed: This tip is a winner every time! Create a visual picture of your buyers actually living in the home. Remember, buyers BUY based on emotion, and then justify the purchase later with logic. Follow up….IMMEDIATLEY: Courtney’s mother always told her ‘if you can’t be good, be there’ and to Courtney that means being the first to follow-up and staying on top of things with her clients. The completion is tough! If you don’t follow up immediately, chances are very good that your competitor already has! Create a sense of ownership at the beginning: One of Courtney’s tactics for creating a sense of ownership involves taking a picture of her clients putting a sold sticker on the lot marker of their new home right after they sign the contract. She then e-mails this to the buyers so they can forward to their family and friends. Courtney makes the ‘intangible’ become a ‘tangible’. Sell the ‘sizzle’: Ryland’s green building and energy-efficient program is one of the best in the country. Courtney knows this and uses it as a selling tactic. But, she does more than just talk about the logistics of the program. She explains to the buyers how it will benefit them! And also how much money THEY will save annually on their heating and cooling costs! Mirror your client: People have different buying patterns. Some will walk into a sales office demanding to know what deals and incentives you are offering, while others are more timid and shy. Understand the personality of your prospects, validate their concerns and sell to those concerns. Turn negatives into positives: Everyone has concerns about the market and economy. Courtney makes a point of addressing this upfront with her clients. But instead of dwelling on how BAD things are, she talks about what an amazingly wonderful time it is to purchase a new home. Courtney refers to it as the ‘perfect storm’ of low prices and low-interest rates. Sounds simple enough, right? Bottom line is, in order to be a New Home Sales Superstar you must have the passion first, and then perfect and personalize your presentation every time! Video Mystery Shopping Tip: Keeping up with technology – or – The case of the lonely fax machine! I have had my melindabrody.com website for several years. It is a great website. It suits my needs, provides me with an effective way to communicate to clients and potential clients, and allows me to have a strong presence on the internet. SO, why did I recently launch a NEW and IMPROVED website? It was time for a change! Advances in technology, the onset of the social media boom, and the inclusion of innovative new technologies made it essential for me to update my website to be able to offer my clients the most up to date information and resources about my products and services in the most efficient and timely manner. In other words, even though NOTHING was actually wrong with my existing website it was time to change in order to stay ahead of the competition. Technology has rapidly advanced over the years and I wanted my site (and my professional reputation) to reflect those improvements and enhancements. Some people probably wouldn’t have invested the time or money, but these are the same people who probably won’t be active (or successful) in the industry in five years! I call them the techno-dinosaurs! They are either scared of change, or live by the philosophy that if it ‘ain’t broke, why fix it?’. In new home sales, it is IMPERATIVE to keep up with the current trends and advancements in technology. Today’s market demands, your prospective clients expect it, and you owe it to yourself if you want to be successful. Let me give you an example of why it is so critical to stay ahead of the curve, remember WAY back in the 1980’s when the fax machine was considered the latest in technology? I remember getting a call from a client who wanted to sign a contract with me and as we were finalizing the details of the agreement, he asked me for my fax number. Fax number??? What the heck was that? I was ready to give him my federal express account number! Well, you can bet your bottom dollar I had a fax machine sitting in my office the very next day! I can still remember being fascinated by how the information on one sheet of paper could travel across the country in a matter of minutes! We’ve certainly come a long way, baby! And today, the traditional fax machine is basically obsolete! Moral of the story is: If you don’t keep up with the advances and improvements in technology you (like your existing technology) will become dated and antiquated. Think about it, how many new home sales people do you see typing up their contracts on typewriters these days? So, make the investment in yourself and your business to keep current about the myriad of new technologies that are being introduced to us on a daily basis! If you don’t, I can guarantee you your competition will! You certainly don’t want to be the only one left standing by the lonely fax machine! Video Mystery Shopping Tip: Realtors And Reese’s Peanut Butter Cups – The Power of the Perfect Parternship. Do you remember those old commercials for Reese’s Peanut Butter Cups? Two people are walking along (one eating chocolate and the other eating peanut butter) when all of a sudden, they collide and the peanut butter and chocolate mix together and EUREKA, the best tasting candy bar in the world is born! All because of the successful partnership between the peanut butter and the chocolate! Well, if you are wondering what this analogy has to do with new home sales people, let me tell you. YOU are the chocolate……and YOUR local Realtors are the peanut butter! Oftentimes as new home sales people, we forget what a valuable asset our realtors are to our business. Think about it. How awesome is it when all of a sudden a realtor pops into your sales office and delivers a QUALIFIED prospect that is ready to buy today! Voila! The magic of the successful partnership! So, why is it that we new home sales people often forget to include realtors in our overall marketing plans? I believe it isn’t because we don’t want to; it is because we are not sure exactly HOW to do it. Here are five simple suggestions to help you build strong relationships with your area realtors! Visit the local offices – sponsor a breakfast, offer to do a presentation for the office, make yourself visible to the realtors! People do business with people they know, like and trust. Make yourself that person! Offer your community clubhouse, or design center as an option for a sales meeting. Or, hold a realtor open house. Try to get the realtors to come to the community, this way they become familiar with you, your community and your homes, so it will be easier for them to offer them as an option to their clients. Get involved with your realtor association – Network with the realtors. Again, this would be a great opportunity for you to offer to give a presentation about your community to the group. Create a program to reward the realtors who are bringing you business! This could be as simple as giving a Starbucks gift card to every realtor who brings a prospect to your office. Everyone likes to be recognized for their efforts. Set a goal! How many realtor offices will you visit this month? How many realtors will you take to lunch? Set a personal goal for yourself and write it down. And, when you do meet with the realtors, ask them how YOU can help make their job easier. Working with your realtors really makes both of your jobs easier. From the realtor’s perspective, once their client decides to purchase in your community, their job is basically done! Remember, just like the Reese’s Peanut Butter Cups, when two good things come together, the effect can be phenomenal! Video Mystery Shopping Tip: The Fine Art of Negotiation or Things you can learn from Old MacDonald! 'With a MOO MOO here, and a MOO MOO there! Remember the old children’s song ‘Old MacDonald had a farm’? Ee I ee I oo? Well, as I was watching several new home video shops this week, that song kept playing in my head. Not because my clients were selling farms in rural Tennessee, but because I saw so many sales people giving away the farm, the farmer and the farm animals when they are negotiating a new home sale! Ee I ee I oo NO! People, we’ve got to STOP the MADNESS! Sure, every home buyer is looking for a good *deal* on their new home, however many sales people seem to equate a good deal with giving away every incentive and back pocket dollar they have before they ever even have a deal on the table! Before you can ever sell a new home to a prospect or client, you have to allow them to *fall in love* with the community, the home site and the floor plan. If you don’t, you aren’t really selling a new home; you are negotiating a contract for a tangible item. Now, if you were in the widget selling business, I might say that would be OK. But, we aren’t selling widgets. We are selling the American dream! We are selling a lifestyle, a future, and a dream. So, what do you do when your prospects walk in the door demanding to know what’s the best deal you can give them? Well, you think about Old MacDonald, his farm and his menagerie of farm animals! You see, Old MacDonald knew that the farm and the animals that he kept on the farm were his livelihood. He depended on those cows, sheep, goats and chickens to provide him with the basic necessities he needed in order to live happily with Mrs. MacDonald. He wasn’t about to give them away! He followed the Ee I ee I oo code of ethics! Everyone is looking for a deal – get used to it. But, remember it’s your job to get your buyers to see past the initial dollar signs to truly appreciate the value of the home. Instill value – Home buying is an emotional decision. Your buyers may tell you they are looking for a bargain, but I can guarantee if you ask them what is more important, price or value, the answer is always going to be VALUE. Evoke emotion – Allow your buyers to ‘fall in love’ with the community, the home site and the floor plan. Have them *mentally* move in to the home! Customize your sales presentations so that the buyers can imagine themselves living there! Introduce trial closes – Start building that emotional bond by introducing trial closes during the sales presentation. Overcome any objections the buyers might have along the way. This way, by the end of the appointment, they have had time mentally to embark on the idea of moving forward with their buying decision! Open your ears, close your mouth – This is the only way you are going to determine your buyer’s true buying motivation. Ask questions and listen to what they are saying to you. Your buyers will give you every piece of information you need to close the deal! You just have to listen to them. So, there you have it! The Old MacDonald recipe for successful negotiations! Ee I Ee I oo – YES!! Social media networking sites are wonderful tools to connect salespeople with their prospects and existing customers. These days, you can even engage in a political discussion with your prospects/customers on Facebook, Twitter or LinkedIn. However, you’d be treading very dangerous waters if you do! If you wouldn’t normally make a sales call and start talking politics, then you shouldn’t do it on a social networking site either. Remember, it’s not just sales people who are using social media to do research. Buyers use social networking sites too. If you post all of your political, religious and other controversial information on your business site, then a potential buyer that does not share your political views may not want to do business with you. Not to mention that you place yourself in a weakened negotiating position. That’s not to say you can’t engage in “hot button” discussions with your friends and family on Facebook. Just keep these personal discussions separate from your professional life. Create a business page on Facebook and use it strictly for business. Limit comments to your personal profile and adjust your privacy settings so your comments aren’t shared with anyone beyond your immediate circle. However, you should probably still be careful what you post online. While you can control who YOU share your information with, you can’t control what your friends and family share. As a result, there is still a possibility that whatever you post online can be found by someone conducting a Google search. Unless your business happens to involve politics or religion, the safer course to follow is to avoid discussing these subjects online or in-person with your professional contacts. Remember what happens on Facebook, doesn’t always stay on Facebook! If your sales team needs social media training, Meredith Oliver’s Social Media Boot Camp can teach your salespeople click-by-click how to use social media to increase sales. Call, e-mail, text or send Meredith Oliver a carrier pigeon for more information – whatever works for you! Video Mystery Shopping Tip: The Power of Validation! It didn’t matter to Sarah that I had just landed a big account and needed to finalize the details, no sir! She wanted my full attention, and she wanted it now! Sarah wanted to be seen, heard and acknowledged. In other words, she wanted to be validated. Fast forward twenty-five years. As I was watching Oprah Winfrey’s farewell show last week, I had a flashback to those days with Sarah. You see, Oprah’s parting words to her audience were all about validation! I believe ALL of us were born with the innate need, desire and want to be validated. As new home sales people, isn’t that really what our job is about as well? Isn’t it our job to validate our clients and prospects while we safely guide them through the journey of purchasing a new home without judging them? Trust me; you can offer the greatest floor plans at the best prices, with the most fabulous amenities in the town! But if you don’t validate your clients, chances are you won’t make the sale. 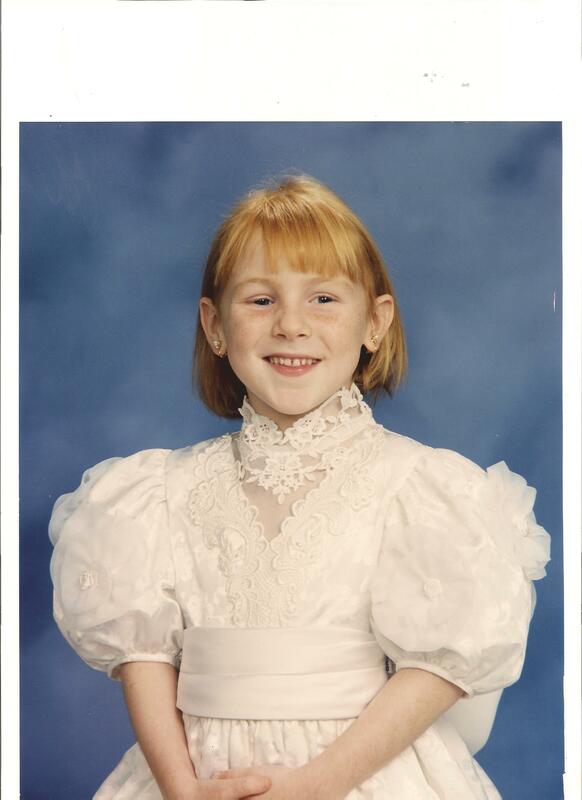 Once upon a time, in a land far, far away, there lived a new home sales princess who worked for a big builder in a fairy tale new home community. The beautiful sales princess was always busy! Traffic to her new home community magically appeared each and every day! She wrote sales contracts weekly! All was well in New Homebuilder Land, that is, until the wicked witch appeared! The wicked witch decided to cast an evil spell on New Homebuilder Land! All of a sudden the traffic that used to flow freely into the new home community dried up like a raisin in the sun! Time stood still! The beautiful new home princess was confused and sad! She cried to her fairy godmother every night begging her to destroy the witch and restore her happy life. The sales princess was not sure what to do! She tried to get Prince Charming to help her out, but he too was having his own traffic problems in New Homebuilder Land! Alas, our sales princess sat down with her fairy godmother and together they came up with her own magical spell to restore the abundance of visitors to her sales office. The word ‘self prospecting’ was officially invented! Pick up the phone and call people! The fairy godmother was very proud of her sales princess for taking the initiative to increase traffic and sales into her new home community. So proud in fact that she too created another plan to support the princess in her endeavors. She added marketing and advertising, sales training and corporate kingdom support to assist not only the princess, but Prince Charming too and all the other new homes sales people that lived in the land. Everyone’s joint efforts paid off! Traffic returned to the land, sales increased and our sales princess was busy! Moral of the story: To be successful in new home sales, you must learn how to self prospect! Self sales prospecting done properly can have a huge impact on your sales revenue! It doesn’t take a great deal of time to do, and it doesn’t require a magical spell. But, it does require that you have a solid plan in place and that you schedule the time to do it. Many sales people are hesitant to self prospect because they are not sure how to do it, or they fear rejection. A good fairy godmother (sales manager) will provide the training that sales people need to learn how to effectively and efficiently master the art of self prospecting. Video Mystery Shopping Tip: How to REALLY Get Your Sales Team to Follow Up! We’ve all heard the saying ‘If you don’t follow up with your prospects, your competition will’, right? I always disliked that quote. It sounds more like a THREAT than a quote to me! I thought quotes were supposed to motivate and inspire us to do better, not make us feel like losers! Anyway, while I don’t necessarily like the ‘tone’ of the saying I do agree with its message 100%! Our new home sales people absolutely must follow up with their prospects on a regular basis in order to close the deal. And, as sales managers, it often times falls on our shoulders to insure that they do follow up. You see, being a sales manager is a lot like being a parent! We have to ‘follow up’ to make sure they ‘follow up’, comprende? When my daughter Sarah was a little girl she used to love getting presents (she still does for that matter, I wonder where she gets that from??). Anyway, each time she got a present I would encourage her to write a THANK YOU note to the individual who had sent her the gift. She didn’t really enjoy or understand why I encouraged her to do so. You see, she enjoyed getting the gifts, but didn’t enjoy the follow up that came with it. This can be true of a lot of new home sales people. They enjoy the challenge of the hunt, the excitement of the deal, but not so much the administrative, often laborious task of following up. So, in order to make sure Sarah did her follow up, we came up with a system which made it a lot easier for her to do it. We went to a card store and purchased a big box of fun thank you notes that she picked out. Next, we purchased a bright pink pen for her to write the notes. When we got home, we pre-addressed and stamped the envelopes with names of those whom she regularly received gifts. All of a sudden writing thank you notes became a fun project for her! We should all start thinking of our prospects as gifts! When they call us, or take the time visit our new homes sales offices they are giving us the gift of a potential new home sale. And, in doing so, it is only appropriate (not to mention polite) that we thank them for that gift. If you do this correctly and on a regular basis, you will receive the ultimate gift of a new home sale! Take a look at the follow up system you have in place for your sales team. Is it working for you? Have you put the processes in place to make it a seamless next step for your team, or are you expecting them to devise their own program? I guarantee that if you create the system and give them the tools to follow up appropriately, they will be thankful to you and you will reap the rewards by selling more new homes to your prospects! Remember, we all know getting the gift is more exciting than writing the follow up note, but if you don’t write the follow up thank you notes, chances are the gifts may just stop coming. Video Mystery Shopping Tip: Plant Your Seeds, Grow Your Sales! Being a native New Yawker, I have never really considered myself much of a ‘gardening, green thumb’ type of person. Heck, I’ve never even owned a pair of gardening gloves! Most of the plants in my home are of the artificial variety, meaning they still look good even if I don’t water them! I have always admired and actually been more than a little envious of those with a natural green thumb; it was just never my calling! So, you can imagine my surprise last weekend when Howard suggested we do some ‘gardening’ together. I didn’t even know that word was in the man’s vocabulary! So, off we went into our backyard to ‘garden’. I must admit, working in the dirt really was very therapeutic! Howard and I spent hours out there carefully planting the seedlings, and then meticulously watering and fertilizing our little garden. Believe it or not, this experience reminded me of the relationship between new home sales managers and their sales teams! When I am watching Video Mystery Shops each week I can immediately tell which sales people have been properly cared for in their ‘sales gardens’. It’s amazing the positive results you can get when you “tend” to your new home sales team in much the same way a gardener “tends” to his garden. 1. Pick and plant your seeds carefully. Our sales people are the livelihood of our sales gardens. We want to select the best people out there before planting the sales garden. We can’t just throw our sales seeds in the dirt and expect for them to blossom! As new home sales managers, an important part of our role is to provide our sales teams with all the support they need in order to grow into successful sales superstars. 2. Water the plants regularly. Plants can’t grow if they don’t get adequate water on a regular basis. Our sales teams can’t grow if they don’t get on-going training, resources, and information needed to do their jobs. This is an investment in the future success of your sales garden. 3. Talk to your plants! Every day I encourage the seeds in my garden to grow, grow, grow. (No, I swear I am not crazy; I really did read it is important to talk to your plants. Something to do with oxygen, but who knows?) In our sales garden it is important that we regularly motivate and encourage our sales people for maximum results. 4. Remove the Weeds. Just one weed in the garden can have a detrimental effect on every plant you are trying to grow. Weeds, left unattended, will strangle your plants. Do you have any weeds in your sales garden? If so, it is best to remove them immediately before those bad habits and behaviors spread through the sales garden like wildfire and poison the rest of your team! So, my challenge to you is to start thinking about your new home sales team as your sales garden. Remember, you really do ‘reap what you sow’. So, let’s create an abundant harvest!